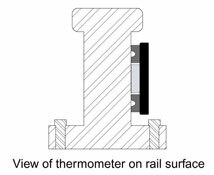 Rail Weld Thermometers for continuous welded or jointed rails. 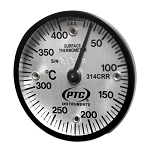 PTC®'s Industrial Railroad Thermometers are designed to measure surface temperatures for continuous welded or jointed rails. 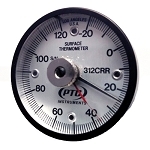 These thermometers meet the criteria for the AREMA specification on track maintenance. 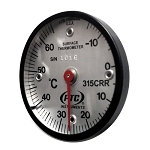 The Railroad Thermometer features four alnico magnets that act as the base for the instrument. 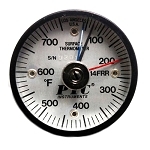 The Rail Thermometers have a plastic cover and an easy to read red indicating pointer. 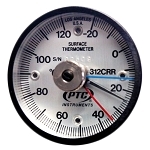 Optional single or max-min ancillary hands are available for these thermometers. 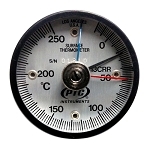 The bimetallic sensing element is enclosed to protect it from dirt and other contaminants but comes in close contact with the heated surface for rapid response. 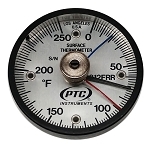 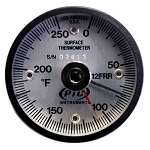 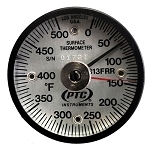 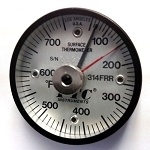 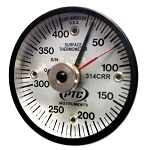 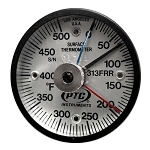 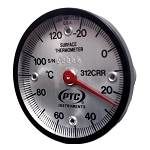 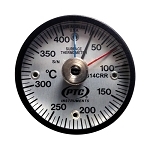 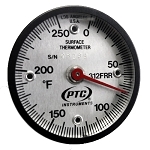 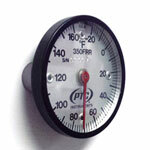 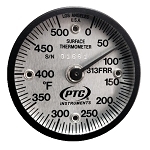 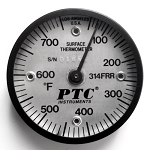 PTC® Industrial Rail Surface Thermometers are made in the U.S.A. 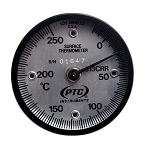 Available in Fahrenheit or Celsius, select temperature range below.